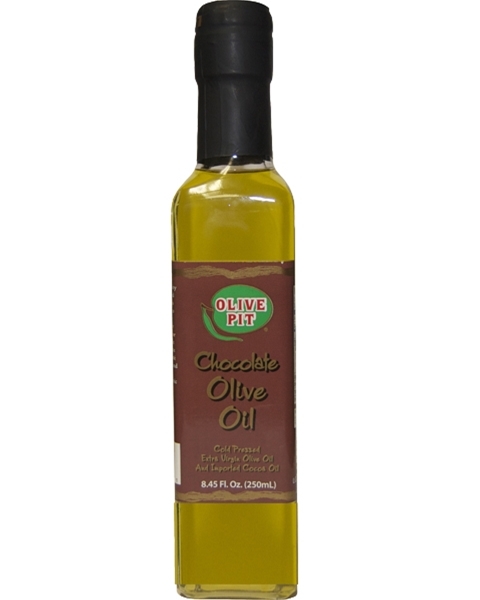 This unique pairing of fruity Extra Virgin Olive Oil and aromatic cocoa bean oil is the perfect complement to both sweet and savory dishes. Drizzle over your favorite gelato, ice cream or cheese cake. Heighten the decadence in any chocolate cake or pastry recipe. Saute with chilies to add depth and character to chicken. Combine with aged balsamic vinegar and pour over fresh fruit. Chocoholics, let your culinary inhibitions run wild.